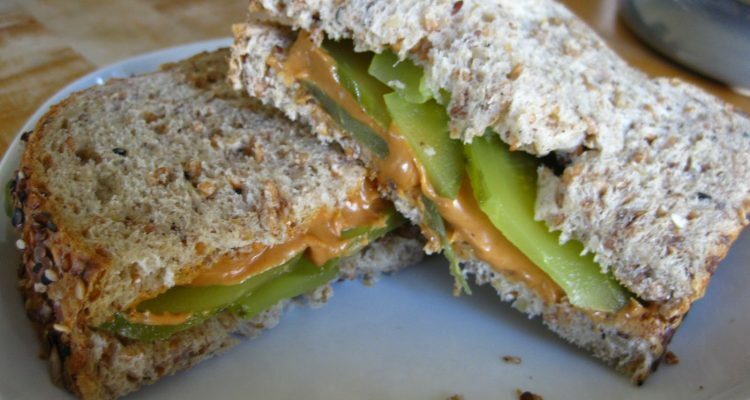 I love Peanut Butter and Pickle Sandwiches. Initially, the mere mention of this combination would cause me to make a sour face. I couldn’t comprehend how brine and peanuts could co-exist. However, confusion and intrigue encouraged me to try one and I loved it. I think that I can say the same thing about Yoga and Social Action. When I think of Yoga I think of mental balance, stress and pain relief, increased energy and confidence levels, etc. When I think of teaching yoga, I imagine introducing those same benefits to others in an effort to improve their quality of life. On the other hand, when I think of Social Action I find myself feeling very stressed, sad, and angry. When I was introduced to the idea of incorporating Yoga with Social Action my sour face resurfaced, I just could not wrap my brain around it. Now that I have begun learning about Yoga, I have actually thought about Social Action more. I no longer view the two entities as unrelated but as interrelated and I have some ideas on how I can combine them in my practice. 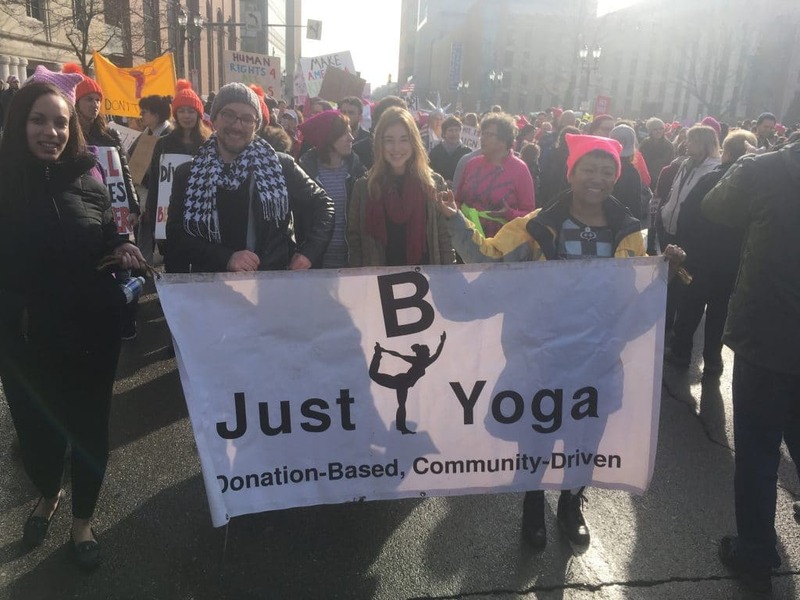 We attended the Women’s March at the Lansing Capitol last weekend as part of our initial Yoga Instructor Training. On the way there, we were asked a number of questions regarding Yoga, Social Action, and the combination of the two. I must admit that I didn’t understand this line of questioning. I didn’t understand because I always assumed that yoga was an exercise. Surely exercise will relieve stress and tension while meditation encourages clarity of the mind but I would argue that one would need more than stress relief or mind clarity in order to tackle the sorts of issues presented in today’s society. Furthermore, exercise will not garnish the certain truths that are necessary for forming an effective approach to Social Action. It wasn’t until we reached the lecture phase of the class (and subsequent homework/reading assignments) that I could tie the two together. Now that I have identified the relationship between Yoga and Social Action, it is time to start thinking about how I will apply it. Initially, I thought of some of the hardships that I have experienced in life and I wanted to cater to those populations. However, I feel that Yoga encourages you to try and relate to everyone. Therefore, I think that I would like to work with offenders. I’m not 100% certain as I am a yoga baby, except I think that this is where I’d like to go. I’d like to work with people who have trespassed against others, who might need assistance with anger management or assistance with tolerance (hate crimes, etc.). 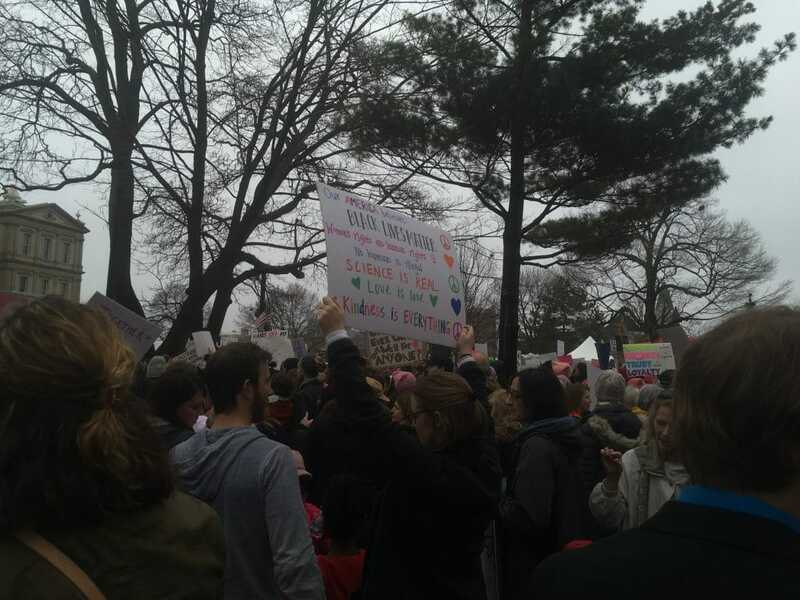 I came to this conclusion while meditating about Social Action after the march. I think I can embrace and transform the disdain that I feel towards violence and hate by addressing it directly and I think that it would be most rewarding for me as well as my future students. For your information, Yoga is much more than just an exercise; it encompasses mental and spiritual practices and disciplines that can improve one’s physical, spiritual, emotional, and mental well-being. If you are not at your optimum health in these areas, your approach to helping others will be less effective. In the arena of Social Action, effectiveness is key and the only thing that will bring about change. The focus and dedication that Yoga embodies allows an individual to make the most informed decisions, to act out of knowledge as opposed to haste. I look forward to learning more about yoga and about how to incorporate it into Social Action. I am hopeful that I have derived a plan that is realistic and effective. I am honored that I am in a position to learn and then subsequently teach people how to empower each other and how to combat undesirable attitudes, ideologies, and actions.